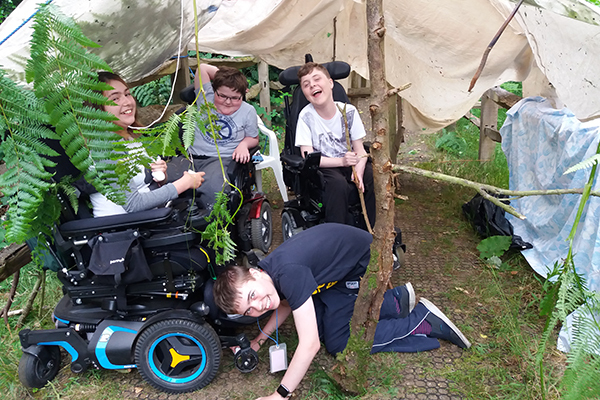 Thirteen Shooting Star Chase teens from the charity’s youth groups made the annual trip to Woodlarks last month – where they spent a survival-themed weekend at the Farnham-based residential activity centre for people with disabilities. 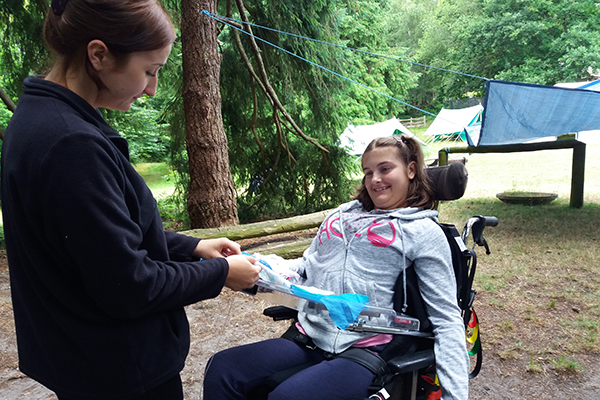 The weekend, which marked Shooting Star Chase’s fifth year at Woodlarks, is designed to be lots of fun for the supported teens, while also encouraging independence, team work and friendship. 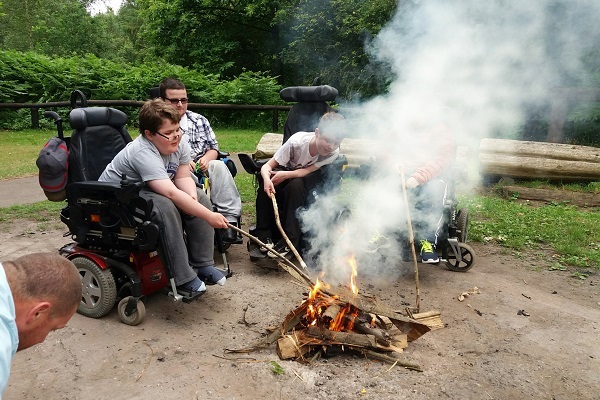 Shooting Star Chase care team members accompanied the teens on the trip, and facilitated activities including outdoor swimming, making camouflaged dens that would provide shelter from the rain, building campfires, decorating shirts and making burgers for the BBQ. 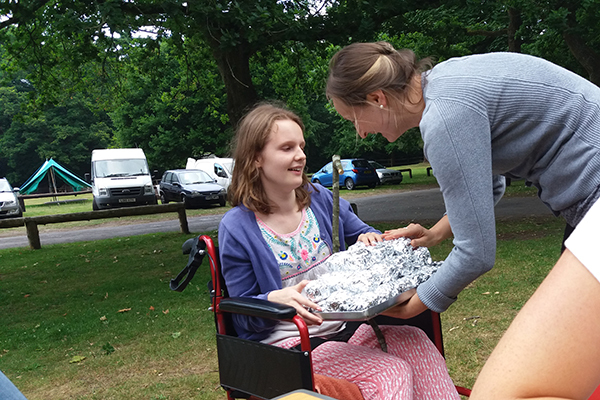 Pam Parker, Physiotherapist at Christopher’s in Guildford, who organised the weekend at Woodlarks with Hospice at Home nurse, Jacqui Kidd – said it was a huge success: “We had another fantastic year at Woodlarks, and both the teenagers and staff had a whale of a time. As well as being non-stop fun, the weekend is always a great opportunity for the young people we support to learn about taking risks while maintaining safety. On this year’s trip a member of the group slept in a tent for the first time, and some of the group took themselves off and played hide and seek in the woods on their own. 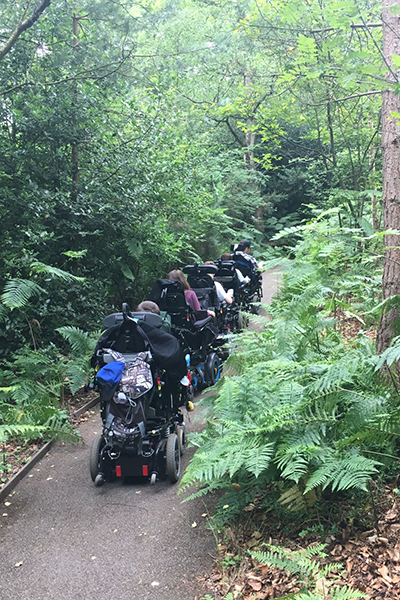 Comments from some of the teens included, “I enjoyed the swimming and learnt about survival – and how not to go down rough hills in my wheelchair!”, and all confirmed they want to come to Woodlarks again next year. Visit our What we do page for more information about Shooting Star Chase’s care service for babies, children and teenagers.